If you're wondering why Jon Hamm was rocking that truly epic hiatus beard at the Emmys, it might just be because he couldn't help it. Because apparently Jon Hamm's got an actively hairy face — Hamm even shaves three times a day when shooting Mad Men. This information comes courtesy of Mad Men makeup artist Lana Horochowski, for whom we have extreme jealousy based purely on the fact that she gets to touch the faces of the likes of Jon Hamm and Christina Hendricks on a regular basis. In order to properly imagine what the experience of touching Jon Hamm's face is like, though, all you really have to do is remember the last time you touched stubble. Because Mad Men takes place in the 1960s and not the uber-hairy '70s, the facial hair of the male cast had to be eradicated pretty consistently. And apparently Jon Hamm, in particular, has facial hair that takes more effort to tame. "For so long, [the Mad Men] were all so clean-shaven," Horochowski said in and interview with OK! Magazine to promote Look Good...Feel Better , which teaches new makeup techniques to interested women undergoing cancer treatments. 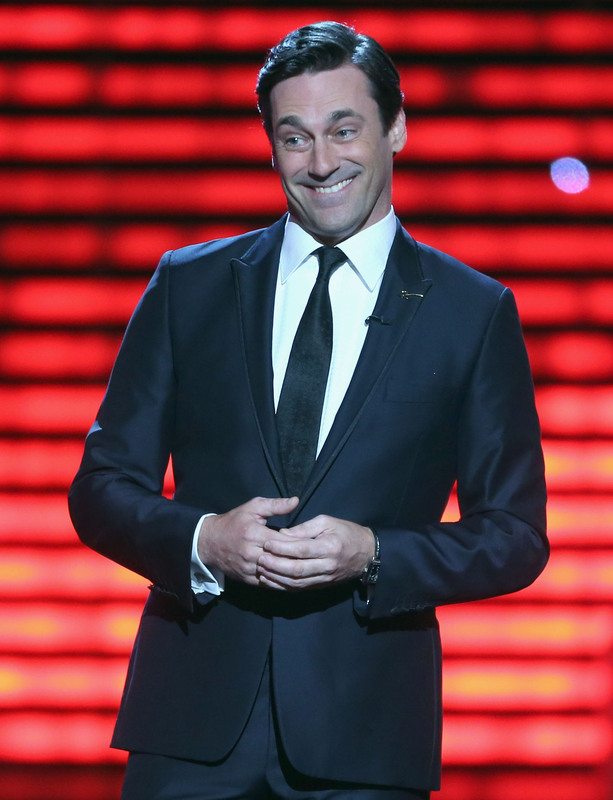 "We shoot such long hours, and for Jon, [Hamm] we shave sometimes two, three times a day." Jon Hamm: So manly his facial hair will not be silenced.